The UK style interface All British Casino was established in 2013. It holds a triple license from Malta Gaming Authority, Curacao eGaming and UK Gambling Commision. 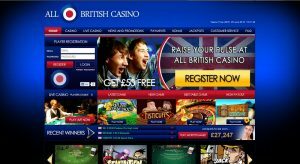 All British Casino resembles a strong patriotic theme with the red and blue design theme. In addition to the colored theme, they introduced several symbols and images that depict Big Ben, the British flag, tube train station, the Tower Bridge and many others. Royal blue is used as background color for the game categories and their previews. The website is well organized as games can be found by category, popularity or with the help of the dedicated search field. Games can be played for fun without making an account or depositing real money. After you hit play, the game will load and you will receive around €4,000 to practice. Of course, the winnings are not subject to withdrawal. The live casino section is not available unless you make an account and play for real money. Players from United States, Spain, Italy, France and Estonia are not allowed to play at All British Casino due to the fact that the government of these countries prohibit gambling. After you make an account on All British Casino, you will have access to the full range of games from the well known software provider NetEnt. Starting with the famous slots such as Gonzo’s Quest, Fisticuffs, Boom Brothers, Muse, Jack Hammer or Mega Fortune, to the table games, All British Casino has is all. Play blackjack, roulette, baccarat, punto bianco, hold’em, poker, Carribean stud poker or red dog if you are a fan of virtual table games, or video poker in multi hands. The live casino section is covered with the blackjack and roulette games streamed from the famous Portomaso Casino in Malta. 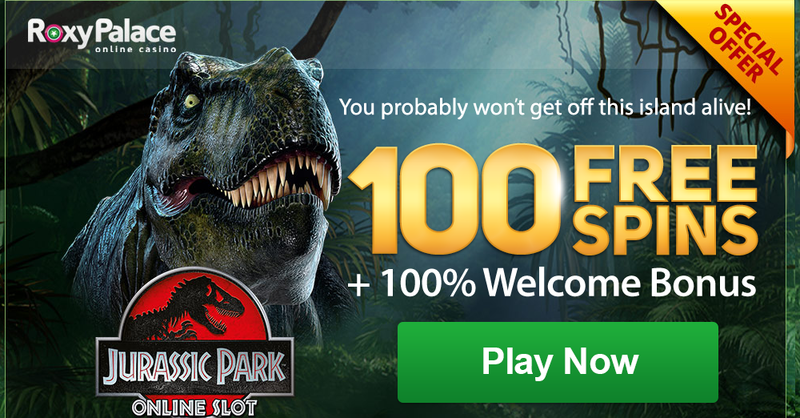 The welcome bonus offer is 100% up to £100 and 100 free spins on Starburst, Aloha or Pyramid. The minimum deposit to claim the bonus is £20. Only the bonus has to be wagered 35 times. Slots, lottery and games from other games section contribute 100% to the wagering requirements, while table games and video poker only 10%. Live casino does not contribute at all. Also, you are not allowed to place a bet bigger than 10% of the bonus value. All the winnings generated by the bonus are yours to keep after the wagering requirements are met. Only the no deposit and the free spins have a winning limit. The mobile site is easy to navigate in, and will allow you to enjoy the gaming experience the same way you would on the desktop version. The experience is seamless if you have an Apple, Android or Windows smartphone or tablet. All British casino operates only in pounds. Deposit and withdrawal can be made by a range of methods, such as MasterCard, Neteller, Paysafecard, Visa, Skrill or bank transfer. The minimum deposit accepted is £10, but for bank transfer it rises to £30. Withdrawals have to be made with the same method of deposit, and take from one to three working days. Keep in mind that payments are not processed over the weekend. The minimum sum you can withdraw is £20. The customer support team is there for all the players 24 hours a day, 7 days a week, 365 days a year. You can contact the customer service via live chat, phone or e-mail. The assistant at All British Casino have the power to give unique promotions for loyal players that have been attending the casino for a while.